Hello! Does anybody know how this formula is derived? I see the Mc/I form of the formula but can't seem to understand why the formula has a 4 in the numerator instead of a 6. Using 'plastic' section modulus, not elastic. The value La x t^2 / 4 is the plastic section modulus Zx. Using the value of 6 would be for an elastic section modulus Sx. 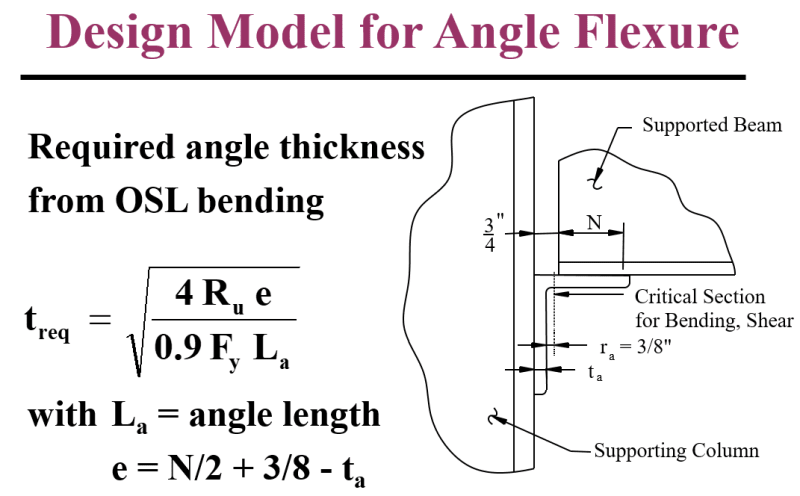 You are using LRFD with an ultimate limit state in weak axis bending. ha- you beat me to it.